It's a slow news week when all we get are new stills from movies. 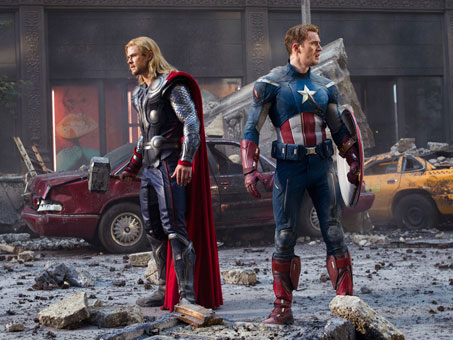 This one is from The Avengers as Captain America and Thor prepare for battle. The Avengers hits theaters in May!